These are some of the pictures taken by Jukka VP6BR on Pitcairn. Click on the photo to enlarge! I am happy to tell that all direct requests have now been answered. Inspired by Xmas, I also decided to answer to all direct requests that did not include a SAE. I will use the extra envelopes received for this purpose by modifying them. The QSL requests that still are in the QSL hospital were received either with no funds for return postage or with a "bad" IRC (stamp in the right-hand box). These requests will be eventually answered via the bureau, if no postage will be received during the next five months. I wish you a Happy New Year and thank you very much for your cooperation during the year 2000! If you have not yet received your VP6BR QSL, please check the alphabetical list of callsigns representing all QSL requests received without a Self-Addressed Envelope (SAE) and/or a valid International Reply Coupon (IRC) or a Green Stamp. These requests remain in the so-called QSL hospital until the above items have been received. If you find a callsign of someone you know, please tell him he should reapply in the manner outlined above in order to receive his VP6BR QSL card. After six months from now, a VP6BR QSL card will be sent all those on the list via bureau, if a second request with proper attachments has not been received till then. For additional information please send an e-mail to [email protected]. Today I have processed 70% of all direct requests. The most intensive month in VP6BR QSL traffic, May, takes 18% of the rest alone. These requests are planned to be sent out before Christmas, while the very last batch (12% of all requests) will arrive to the respective DXers right after New Year. Bureau QSLers: prepare yourself for some more waiting but not too long any more. It has been a great job in both meanings. Thank you for your comments - I really enjoy reading them! The QSLing situation is now as follows: so far I have processed 40% of direct QSL requests. Next week I start processing requests received in May (the most active month for VP6BR postman!). I try to finish with the direct requests by Christmas time and start then processing the bureau cards - there are MANY of those! For those who are tired of waiting for the VP6BR QSL: just imagine if I would be working full-time in the office? It would take years to clean the desk, I'm sure. Happily - for those waiting - I have the possibility to work on the QSLs FULL TIME. I also listen to the bands while verifying your QSOs so sometimes you can hear me working the DXpeditions. This is my way of relaxing from the QSLing! After my three-month DXpedition as VP6BR I spent a month vacationing with my XYL in ZL1, W6, W8 and W2. I arrived home in the end of May. Due to summer vacations in Finland and other printing jobs, I got the VP6BR QSL cards from the printers only in the end of July. I have received so far approximately 10,000 direct QSL requests. To reply all these will take approximately three months as a full-time job but happily no more thanks to my XYL helping me. The only thing I need from all of those waiting for VP6BR QSL is patience as your QSL is probably waiting somewhere in the piles! I cannot tell if a specific QSL has been received by me as it is practically impossible to find one envelope among all those ten thousand envelopes. I make exceptions to the rule "FIFO (first-in-first-out OR first come - first served)" only in case of well argumented reason to react immediately to a late or second request. At the moment I am processing requests received in late March. Requests with donations of USD 3 or more will be processed as top priority, however. I have several old addresses but they all are rerouted to my present address which is PO Box 37, FI-01361 VANTAA, FINLAND. I hope you understand my situation and I can only assure you that I am doing my very best. Please do not send second requests for the time being. Thank you! If you do not hear from me in some months time please let me know. I will be happy to assist you in any way I can. The VP6BR DXpedition is over but the heaviest work load is still ahead. At the moment I am busy verifying the QSL requests received during the DXpedition and the first VP6BR QSLs will be mailed tomorrow. I shall process the requests in the order they were received. It is a full-time job for me and it will take approximately four months to clear the direct request pile - 10,000 cards. 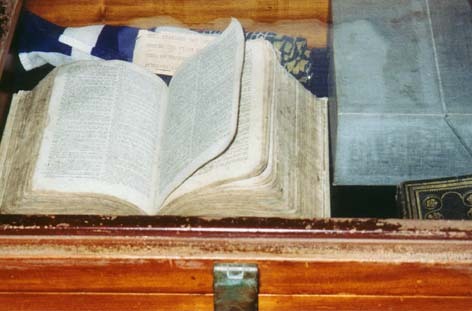 The DXpeditioner of the Year 1999-2000 plaque. I already gave some VP6BR cards to OH DXers at the SRAL summer camp during this past weekend. It was a great joy to see the happy faces of those DXers getting a New One confirmed by the DXpeditioner himself! The VP6BR DXpedition presentation was again made for the DXers gathered at the summer camp. It was already shown in the end of June at HAM RADIO 2000 in Friedrichshausen, Germany. I shall further enlarge the presentation into a two-hour show to be given at SK6WW Hamvention in Karlsborg, Sweden, in the end of September. Later I will also have a presentation in Amsterdam on Oct 14th at the VERON annual meeting. The highlight of the DXpedition happened in Dayton Hamvention on my way back home. Being nominated as "The DXpeditioner of the Year 1999-2000" was totally unexpected and was a big surprise to me. The plaque is hanging on the wall of my new ham shack reminding me that it was not a dream. Today I received the remaining VP6BR logs, and updated the log search page. The story written by Jukka on the way back to New Zealand can be read at report page. Jukka will be travelling in New Zealand with his XYL Loretta until May 14th when he will fly to Los Angeles for a few days. From there they will fly to Cincinnati to visit the Dayton Hamvention on May 19th to 20th. After that they will be five days in NYC and return to Helsinki on May 27th. The QSL work will start after arriving in Helsinki, and the cards will be printed and answered as soon as possible. Jukka will go QRT from April 21 at 2000 UTC. The equipmenmt will be dismantled, and carried down to the departure place. He will board the Melbourne Star at 0830 Sunday local time. Jukka will erect wire dipoles on 10M and 15m if the ship's master permits, and he will be QRV as VP6BR/MM with the FT100MP, for about 7 days. Jukka will leave the generator and barrels of petrol with Tom VP6TC; the A3 and A3WS antennas will stay at the VP6PAC club station, also the dipoles and coax will be left there. The 6M yagi and IC706 have been installed at Tom and Betty's house, and VP6TC plans to be active on 6m while good conditions are available. Jukka reports excellent 6 Meter activity with about 250 QSOs with JA, 300 with USA, and 50 others including Europe and Oceania, making around 600 in total. Most of these were in the last week. 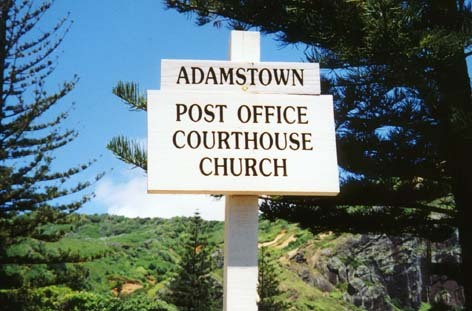 So this will be a new activity record for Pitcairn Island. There will not be a 6m log on the web-page, so if any operators are unsure about a 6m contact, duplicate QSOs are OK. Jukka will say if it already in the log. The UK6 metre group donated the 6M ZX yagi which will stay on Pitcairn Island. There will not be any transceiver when he leaves. Jukka says that if we can raise a further US$600, the Icom 706MkII and 12 volt supply can stay on Pitcairn with Tom VP6TC. We would like to know if any of the well known 6M groups could help with fundraising for this project? Jukka will be on 160m this morning, and then maybe 2 or 3 days on 80m for EU before returning to 160m. Today we have good news. The problem was not with the linear. Jukka has followed the instructions from the Emtron factory, and now the amplifier is operating normally. Jukka has discovered that when the AC power from the generator went off, this caused the FT1000MP to lose its settings and the MP reverted to the factory settings. It happens that the output coax to the linear was connected to Antenna jack B. But when the FT1000MP went into reset mode, the RF optput was diverted to Antenna jack A. So when he tried to use the radio, it showed very high SWR, and Jukka immediately suspected a failure with the linear. One day later, after a good night's sleep, and a review of the instructions from the factory, Jukka had tested everything, and all is operating normally. Perhaps we can say that Murphy is active on Pitcairn Island as well! Please note that VP6BR will be resuming normal schedules. Jukka has reported some difficulties with the EMTRON amplifier, and I have sent a message to the factory for instructions. He reports that there was some contamination in the petrol and the generator stopped working last night, and AC power to the amplifier was cut. At this time the amplifier had been in operation for about 6 hours, and was hot. The loss of AC supply caused a loss of bias and the cooling fan stopped. Jukka suspects that the loss of the AC generator seems to have caused a failure of the GU74B tube. He has no repair facilities on Pitcairn, and I am only able to report what he has told me on the radio today. He says the input SWR between the transceiver and the amplifier has gone very high, and there is no RF output. He wishes to try exchanging the tube in the DX-1 amplifier with one of the tubes which are in his ACOM2000a amplifier. The ACOM amplifier uses two GU74B tubes. The operator manual says to contact the factory for instructions before replacing the tube, and it refers to setting the bias. In the meantime, Jukka will take a break for 24 hours to get some rest. Please note that he will not be operating on 160/80/40m for the next day or so, so all schedules are cancelled. Today I received the latest logs from Jukka (thru March 22) via Martin ZL1ANJ, and updated the log search page. Jukka has already received his 1KW linear amplifier, and will from now on concentrate on low bands (30m-160m). I have received the latest logs from Pitcairn (thru 2/3) and updated our log search page. We still need your support for financing the extra costs of airfreight for the linear. Please contact Olavi Veitola OH5BR at [email protected] if you are willing to help. Jukka has now made total of 32.500 QSOs of which 700 on RTTY. Main band so far has been 10m, where he has made 4600 QSOs on SSB and 4200 on CW. Now waiting for the linear to arrive on 23 of March he spends also more time on 50 MHz. The rig is always on when he is in operation position listening on 50.120 MHz. The cost of linear is about 1600 USD, and freight from Auckland via Tahiti, Chile and Easter Island to Pitcairn is 500 USD. We have been able to collect some 800 USD so far. Please support Jukka on this if you can. At last we are underway with the linear amplifier project. FinnFET have arranged the supply of a Emtron DX-1 amplifier, which is now in bond-store in Auckland. We have had a very kind offer from Mr Scott Brown of Society Expeditions, (Seattle WA) to take the Linear from Easter Island to Pitcairn Island on M/V World Discoverer. The Emtron Linear will travel from Auckland on Monday March 13, by Qantas Airlines to Tahiti, and then by Air Chile to Easter Island (via Chile). The package is consigned to Master of M/V World Discoverer. 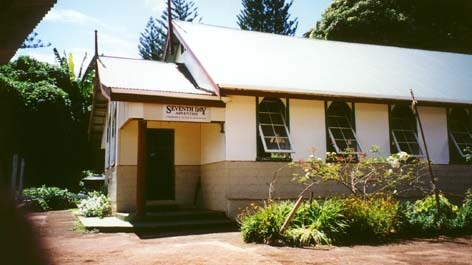 The World Discoverer will be in Easter Island on March 18, 2000. 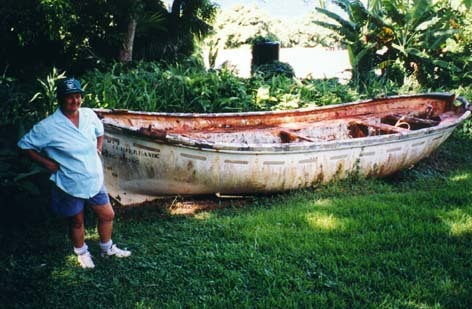 The master of the vessel will have it unloaded at Pitcairn Island during a tourist visit on March 23, 2000. DX community will be excited about this good news. Jukka VP6BR says he will concentrate on 160M, 80M and 40M SSB and CW when he receives the new Emtron linear. He expects to have at least 4 weeks to provide DX opportunities on the low bands before his tour of duty is over. Contributions to assist with the extra costs of airfreight for the linear may be sent to Olavi Veitola OH5BR at [email protected]. Any help is greatly appreciated. Special thanks go to FinnFET Oy, Emtron Ltd, Scott Brown of Society Expeditions, and the master of the M/V World Discoverer. Jukka says that he will follow the normal practice of accepting a contact if there is a mistake in logging: QSO is accepted if Jukka thinks that it is his mistake in logging. So it is worth of sending a QSL, and Jukka will consider if it is his fault or not. All antennas are now in order. He is awaiting the linear amplifier on the next ship, and after that he will give more time on 160/80m. From time to time he will show up on 80m on his sunrise and sunset. He has now logged total of 21.500 QSOs of which about 400 on RTTY. There is still a fairly large gap in funding of the Emtron DX-1 linear. If you are willing to support Jukka please contact Olavi, OH5BR at [email protected] for instructions. Special thanks go to Japanese DX operators for very good operating practices. Please do not call Jukka if you do not hear him well, follow his instructions, and bear in mind normal good pileup practices. Jukka has now made about 14.500 QSOs plus 195 in the CQWW 160m contest. In addition to that will come 3155 QSOs in ARRL DX Contest last weekend which gave him 2.07M points. Martin ZL1ANJ has located a new 1 kW 10-160m linear amplifier, and is now looking for the next ship. The costs will be rather high so all donations are very much welcomed. Today I have received the first letter from Pitcairn with very beautiful Pitcairn stamps. Jukka has sent me a diskette with the first VP6BR logs. He also sent a diary to his XYL which is in Finnish. The logs are until 7th February, and include CQWW 160m Contest. During the weekend I have tried to work Jukka on 28 MHz. During 20 minutes he was active on CW he has made at least 10 dupe QSOs! If you have worked him already please let others have a chance. Specially on 28 MHz northern EU has much more difficult path than the others. Please remember this. It may look like it is easy to work Jukka for you, but for others it is still very hard! Jukka will listen for Europe on 80m in the mornings around 05-06z. He will change between CW and SSB from day to day. He is also looking for USA on 40m starting 11z. From now on he will spend more time on RTTY. From time to time he is involved in social activities on the island, and this may affect his on air activities. He has now made over 10.000 QSOs. Martin ZL1ANJ and Olavi OH5BR have been trying very hard to send Jukka new linear amplifier. Unfortunately they did not have enough time to find suitable amplifier as the ship Sydney Star left for Pitcairn already today. Martin has even bought an old SB1000 but it showed to be out of order. Hopefully they will manage to find another amplifier before the next ship leaves for Pitcairn in a few weeks time. If you live in Auckland New Zealand or close to it, and are willing to support us by lending Jukka your old linear amplifier for his DXpedition, please contact Martin ZL1ANJ at [email protected]. We will need additional funds for completing this task, and all potential donors and contributors are most welcomed. Olavi is coordinating donation for this linear project and you can reach him by e-mail [email protected]. He will send instructions for payments after the next ship is found, and we are certain that amplifier will reach Jukka in reasonable time. I have now received logs from Jukka for his operation as ZL1/OH2BR and VP6BR/MM. These have already been placed on our log server on this page. Hopefully I will receive first logs for VP6BR in a few weeks time. Jukka has also sent me a report from his stay in New Zealand and from the boat trip. The story with some pictures will be available on this page shortly. Jukka will send photos from Pitcairn with the next passing ship. Thanks for all comments and greetings written in VP6BR Guestbook. These will be forwarded to Jukka via mail. Jukka has now made some 7000 QSO's. He scored 79590 points in CQ WW 160m contest making 195 QSO's with 29 US states and 13 countries. He was very happy to work 9A2TW and C4A in the contest. Really bad news, at least to those looking for him on top bands and 80 meters, is that so far he has not been able to fix the failure of linear amplifier. We will try to get some help from the manufacturer. Jukka is operating and sleeping in the VP6PAC building at the top of the hill. He has the A3S for 20/15/10m, wires for 30/40m, inverted V on 80m and inverted L on 160m. Tomorrow 4 February he will have some help to erect the A3WS for 17/12M. The only antenna to follow will be the 6m yagi. Jukka has had some problems with voltage variations to the linear. On most bands he is restricting power to 600W, and today he was able to run the European stations on 20m using the FT1000MP with only 100W. Timetable (all in Pitcairn time): Jukka is leaving the shack at 6pm local time for dinner with Tom and Betty, and he returns to the ham-shack at 7.30pm in time for the local sunset. He operates until midnight, and then sleeps until 6.00am, and operates again before his local sunrise. He is operating from 6.00am until 2.00pm, and then takes a short sleep until it is time for dinner again at 6.00pm. He hopes to send the first floppy-disk of his log on Friday, when the next ship calls at Pitcairn Island. Jukka has now installed his A3S antenna with help from the islanders. The antenna is 10m above the ground pointing to USA. Look for him at his sunsets (around 0330Z) on 80 and 160m, 1820 kHz and 3504 kHz plus minus QRM. He will use a Log Periodic Antenna on 30m and 40m. The antenna is pointing to New Zealand but should also cover Europe Long Path. Jukka has been reported on 40m and 30m in EU this past weekend. There was a very good opening via long path to Europe on his sunrise around 14z on Sunday. This time EU stations behaved very well giving us a clear frequency when trying to solve the generator problem. There is still too much voltage fluctuation to keep the Acom amplifier fully powered. So Jukka works with 400-600W only. In coming week Jukka will be busy with antennas, and hopes to get help from the islanders in order to be able to raise the 80m dipole up into the commercial radio mast. If all goes well he will have all the antennas up till the end of this week. He made some 195 QSO's in the 160m contest last weekend. After visiting some island sites Jukka has decided to operate from VP6PAC shack at Taro Ground. It is not the highest spot on the island, but still will make the best available location. He will be able to use a 20 meters high tower available on the site. Jukka reports that on Wendsday there was a meeting at the VP6PAC with the club members. 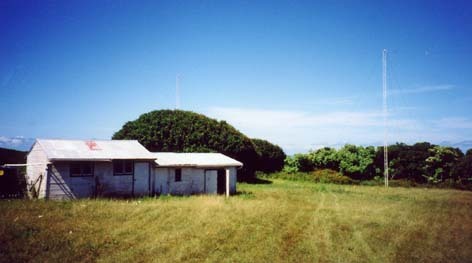 It was agreed that VP6PAC (Pitcairn Amateur-radio Club) will make the DXpedition, a club project. Tomorrow, Thursday they will take the new generator and drums of petrol up to the club station at the top of the hill. The first priority will be to erect the A4S for 20/15/10M. For 160M, an inverted L will be installed with some ground radials, and Jukka hopes to operate in the CQ 160M CW contest this weekend. The priorities for next week will be the 80M and 40M dipoles, and then the A4WS for 17M and 12M. The 5 element yagi for 6M will be set up with the IC706MKII, and club members will operate 6M each day. Jukka started his operation from Tom VP6TC's house at 0235z using the same equipment as he used on the ship. This consists of dipoles for 10m and 15m from ZL1ANJ. They are temporarily mounted very low, just above Tom's metal roofed house for the time being. He is only running 100w for now. Tom and Jukka will be traveling to the top of the hill tomorrow to move equipment, and scout a suitable location for his operation. He hopes to have a better signal from there very soon. Jukka is well on the way to Pitcairn, and is expected to land on Monday 24th around 15z. Unfortunately they will miss Bounty Day celebrations with one day. He has made over 1200 QSOs operating as VP6BR/MM. 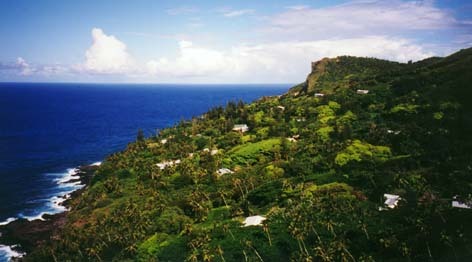 The weather on Pitcairn has been hot and humid and the seas have been pretty choppy. The cruise ship that came in on Friday could not let any passengers go ashore because it was too rough, but the islanders did go out to the ship with the longboats. The on-air testing of the radio gear went very well. We set up a station with the laptop running CT9 software in DXpedition mode, FT1000MP, ACOM2000A linear and Heil headset. We had good reports on 40m and 80m with wire antennas from our hill top site, so Jukka is keen to operate from the hilltop at Pitcairn. If Tom agrees, Jukka would like to set up his operation at the VP6PAC club station. This would keep the noise of the generator away from Tom and Betty. I have donated dipoles for 80M and 40M for the expedition, and 10m and 15m dipoles for the VP6BR/MM operation. We needed two car-loads to get Jukka to the ship. His gear was loaded at 9.00am Monday, and he boarded as a passenger at 11.00am. After loading the gear at 9.00am I had to take him back to the airport to collect the ZX-6 meter antenna which had arrived during the weekend, and then back to board the Queensland Star. There will be a number of cruise ships calling at Pitcairn in the summer season, and Jukka is hoping to mail out a copy of his log every few weeks. Lech LA7MFA will upload the logs onto the WEB for the log search. Jukka will be operating from the Queensland Star as VP6BR/MM, and use the same frequencies that was published for VP6BR. Jukka has been very busy since he arrived in Auckland. He had to leave many items in Finland due to airline weight limitations, so these had to be replaced in New Zealand. These included aluminum tubing for the three masts for yagis, 1000 ft of rope for the guywires, 1000 feet of wire for radials and wire antennas and 100 meters of RG213 coax cable. He is now testing his equipment, and has already been reported on DX clusters as ZL1/OH2BR. Jukka has received the ticket for the Queensland Star, and will be leaving for Pitcairn on Monday January 17th. I arrived in Auckland on Monday the 11th of January 0530 local time. Martin ZL1ANJ met me with his wife Kathy at the airport. Since then I have been staying with them enjoying their hospitality. Martin has helped me to get many things still missing to get my station prepared for Pitcairn. All things arrived safely in Auckland except the ACOM2000A linear which was not loaded in my plane in London. It arrived later that day on another flight. The cartoon box was damaged but hopefully the linear is not damaged. On Friday we shall drive to Martin's summer cottage with big antennas to try the station in full setup. Today we visited The Commissioner, Mr. Salt, and received the Licence to Land and Reside as well as the VP6BR licence. On Sunday morning 0925 UTC Jukka OH2BR left for Auckland, New Zealand, from the Helsinki-Vantaa airport. He will stay at Martin ZL1ANJ while waiting for the ship that will bring him to Pitcairn. Tom says not to worry about the pipes, he will find something that can be used. He has not had time to cut the bamboo for the antenna as yet. The supply ship brought Jukka's generator to the island OK.
Tom said also that Jukka can decide where he wants to operate from when he gets there. The Japanese HAMs did from his house. If operation was from up on the hill, the transportation would be difficult as no one has an extra bike available. The government hostel is a possibility, and Jukka can look into that when he arrives. It was quite a sight on Wednesday having two huge ships standing off of the island. The four containers of goods were unloaded off the supply ship between 5 am and just before dark. Tom said that there were 140 barrels of fuel among the things unloaded. Also many things were unloaded from the southbound ship. He was too busy to take any pictures but others did take some. Tom will get the bamboo cut for the antenna, but he didn't think that there was much material for metal ground stakes but he would look around. He wasn't sure about the irrigation pipe either. They have been having quite a bit of rain last week, and it is very muddy there. 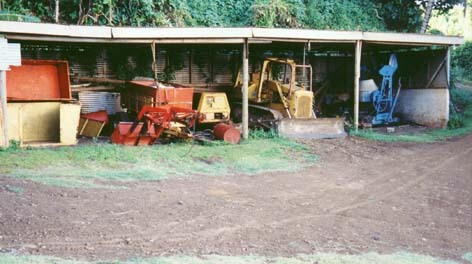 So much so that they are waiting for it to dry up some, so the tractor can get up and down the hill to bring up the supplies that they had to leave at the landing. The supplies are under cover so will not get wet. Today it has been a busy day on Pitcairn as the supply ship was coming in at 5 am, and had at least four containers to unload. It seems that the 10 gas stoves ordered that were not going to be aboard are actually aboard. The southbound America Star was also coming in today at 8 am with packages from USA, and to pick up 3 passengers headed for New Zealand. Tom has probably not started to build his radio shack up on the hill yet. Some of the material for that is on the boat today. Generator and 12 x 200 litre drums of 91 octane unleaded petrol has been loaded in containers, and will be delivered to the wharf this morning to await the arrival of Melbourne Star tomorrow. Passage has not been confirmed for me so far, but Mr. Salt is confident that there should not be any problem. Due to dry-docking in Spain, shipping schedules have changed, and instead of departing aboard America Star, I will hopefully now sail aboard Queensland Star, departing Auckland on 18 January. America Star will not sail from Auckland until 24 January. Should passage not be available on Queensland Star, America Star will most probably provide backup. All those ships belong to Blue Star Line company. Generator has been sent to the freight forwarding company, which is receiving the cargo for Pitcairn Island. Only oil was included in the shipment. I will need to purchase and bring with me spare spark plugs, air filter, some basic tools to remove the sump plug to drain the oil, and a spark plug spanner. The supply ship is confirmed as the Melbourne Star, sailing from Auckland 23 December. Mr Salt, Commissioner for the Pitcarn Islands, said today that there is too much cargo already, and some of it will be unable to get on board. I was asked to take the antennas with me instead of using the supply ship. Because of the problem of too much freight, I will have to keep in touch with Mr Salt to make sure that the generator and petrol will be carried on the Melbourne Star in December. I have been booked on the America Star sailing 19 January. There will be additional passengers with the same desitination: school teacher with family, and a person who is returning to Pitcairn after medical treatment. So the ship will be asked to stop at the island. The only problem will be if the ship is behind on its schedule, or if all cabins are full of American tourists. But it sounds fairly positive at this stage. I was also advised to bring antenna gear, coax and wire antennas with me from EU, as supply in Auckland is uncertain. 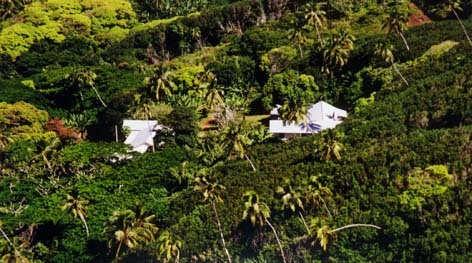 Permit to land and reside on Pitcairn Island has been granted by the Pitcairn Island Council. Amateur Radio license will be collected upon arrival in Auckland, call sign reserved is VP6BR. Flight Helsinki-Auckland is reserved as: ETD Helsinki BA6037 at 1125 on Jan 9th via London and LA; ETA Auckland at 0550 on Jan 11th. Voyage Auckland-Pitcairn-Auckland: We are on a list for the first ship in 2000 which is planned as America Star, ETD Auckland on Jan 19th. Operation as VP6BR/MM planned pending permission of the ship's captain. Return voyage is planned in the beginning of May but depends on the ship schedules. 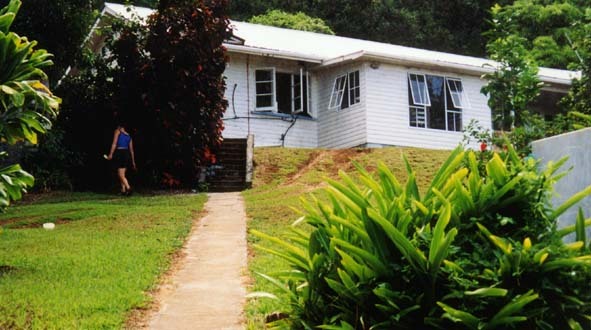 Operation site: Tom VP6TC suggests operating from his home 100 m asl but permission to use the VP6PAC club site on the hill 270 m asl has been also granted. Operation site to be decided upon arrival according to local conditions. The operation possibly starts at VP6TC QTH but may later be continued at the VP6PAC site. Sidetrips to rare IOTA islands are planned for Henderson and Ducie if transportation will be available at reasonable cost. More news to be provided later. Equipment: YAESU FT-1000MP and ICOM IC-706MkII, ACOM2000A 2 kW linear amplifier, Kantronics UTU TNC for the digital modes. Antennas: Cushcraft A3S and A3WS yagi beams plus verticals for 30 to 80 m bands, single vertical for 160 m, all verticals with four elevated radials. Power: Honda 4.1 KVA generator with 2400 litres of petrol to be transported onboard the supply ship on Dec 21st. More news will be provided later as the situation progresses!